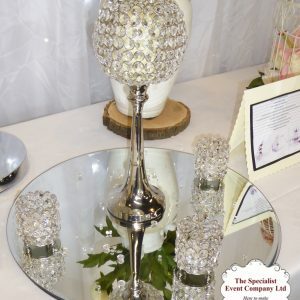 We have a wide range of centrepieces which are desired to suit all budgets. 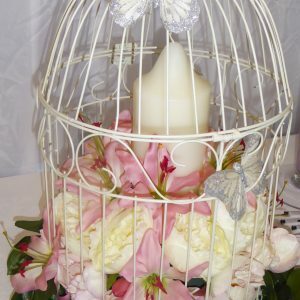 Our team will design bespoke centrepieces if required to match your theme and colour scheme. 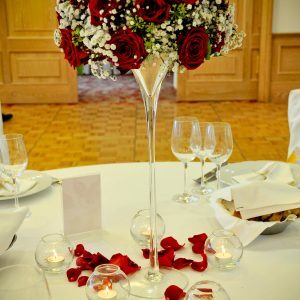 The team are very creative and can work with fresh or artificial flowers . 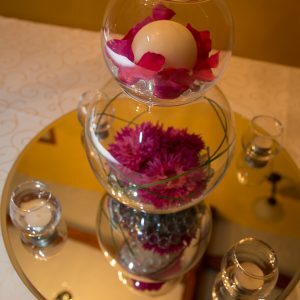 Single tier fishbowl with flowers or candles – complete with 50cm diameter mirror plate and your choice of scatter crystals, rose petals or tea lights. Double tier fishbowls with flowers, candles or a combination of both – complete with 50cm diameter mirror plate and your choice of scatter crystals, rose petals or tea lights. 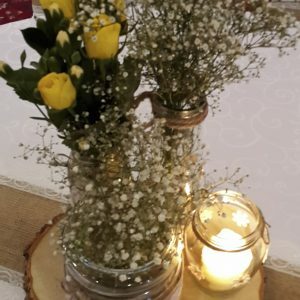 Log slice with jars decorated with hessian and lace – come complete with fresh gypsophila. 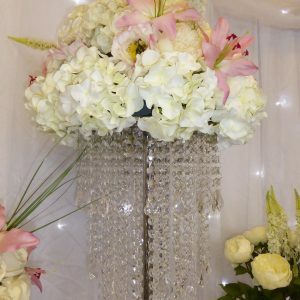 70cm tall lily vase with fresh or artificial flowers – complete with 50cm diameter mirror plate and your choice of scatter crystals, rose petals or tea lights. 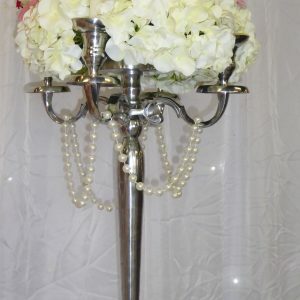 5 arm silver candleabra with fresh or artificial flowers.